we’re a hosting company you can rely on! Not sure how to build a website? No problem at all! 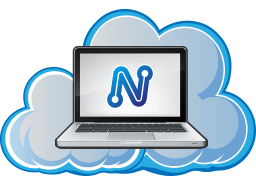 mysitemyway is included on all Noverus Hosting plans. Build a fully featured website in minutes using a fantastic range of tools. Are you currently hosting your website with another company? Receiving a subpar service? Move to Noverus Hosting and start being treated like a real person! We help you transfer everything over to us, free of charge! Install over 100 Scripts Instantly with Softaculous. It’s super easy to use, and you can receive email alerts when new script upgrades are available! Upgrading takes seconds! Our doors never close! We can guarantee true 24/7 tech support, weather it be 5am on Christmas Day, or July 4th, we are always here to assist you! Start a live chat or give our tech team a call. That’s right, we have no limits whatsoever on email accounts! You can make as many as you want! Many other hosting companies have limits. We don’t believe our customers should be restricted. We support both FTP and SFTP. So you can use your favourite FTP client on your computer to access your hosting. Weather it be Dreamweaver, Coda, FileZilla, Espresso, whatever you use will work perfectly! Noverus Hosting make everything super easy to use! We have taken lots of care when designing our systems, to make sure simple email and ftp tasks aren’t rocket science! But if you still need help, we’re always here! We have multiple hosting locations in the United States. You can rest assured no matter where your target audience is, Noverus Hosting is your hosting provider, world-wide, international! The Noverus Hosting Infrastructure has no single point of failure! Our entire Hosting Network is one of the most reliable in the industry. You can sleep safe knowing your website is in safe hands. We offer free daily backups on your hosting account. Don’t worry if you accidentally delete that super important file, rest assured we can receive a backup for you, quickly and efficiently. Each day at Noverus Hosting we push to make everything we do the best we can. Quality is extremely important, and is what every employee works hard to achieve. Why would you host elsewhere? Install over 250 Scripts Instantly with Softaculous. It’s super easy to use, and you can receive email alerts when new script upgrades are available! Upgrading takes seconds! Not sure how to build a website? No problem at all! SiteBuilder is included on all Noverus Hosting plans. Build a fully featured website in minutes using a fantastic range of tools. No matter what time of day it is, Rush Hour? Midnight? Christmas Eve? We’re always here. We never shut our doors! Submit a ticket, or start a live chat with our tech team. We can solve any hosting problem! Our state of the art control panel is the ultimate management tool! Use the control panel to setup email accounts, add databases, and so much more! The super sleek UI makes it super easy to manage you’re hosting! Want to talk to a human being? We are available via telephone support 24 Hours / day, Monday to Friday. Our staff are friendly, and you can call us about both sales questions, and technical questions. Greater affordability is probably the greatest advantage of cloud hosting service arrangements. Pecuniary gains are especially big for business clients with sites that require relatively low processing power needs. All service fees are based upon the precise amount of computing power actually consumed by respective hosted sites. This allows online business operators to avoid wasteful financial expenditures for excessive host resources and bandwidths in an effort to avoid untimely site failures. How do I know how much bandwidth I need ? For example suppose you are expecting 100,000 visitors per month and average page size of each page on your site is 10K and you are expecting each visitor to visit 5 pages of your site then you will be transferring an average of 5 GB (100,000 X 10K X 5) per month. In this case you should plan for about 6 GB per month. If you are expecting visitors to download software/songs/images ect. from you site then you need to do the same calculation for download data and add that to total data transfer require. Most common method of uploading or download a site is by File Transfer Protocol (or FTP). Almost all web-hosting companies support FTP. If you are using windows machine then you can use WS_FTP or CuteFTP. There are lots of FTP clients available for Macintosh, Unix and other OS. Once you installed FTP client you needs to point it to you host server to upload pages. You’ll need to enter the ‘hostname’ of your site (also known as domain name or server name), username and password (normally given to you when you first signed up with your web hosting company). Once you enter above information you are ready to upload. You may change your host directory using FTP client, default host directory is always root.